GUTS is widely regarded as one of the very best traditional online casino in the world. With sports betting, live sports betting, live poker, a live dealer casino as well as online slots from Microgaming, NetEnt, NextGen, Genii, Thunderkick, ELK, Play'N Go, Scientific Games and many more. GUTS are working on a brand new gamification system as we speak and have just released the new Power Bar bonus system already. Definitely a hot casino, especially if you also dablle in Poker and Sports. Wagering Requirements: Slots The welcome bonus is for new customers only. Min: $/€/£ 10. Max: $/€/£ 100. Wagering: x35, must be completed withing 30 days. Skrill/Neteller/Paysafe excluded. Game weighting and terms apply. 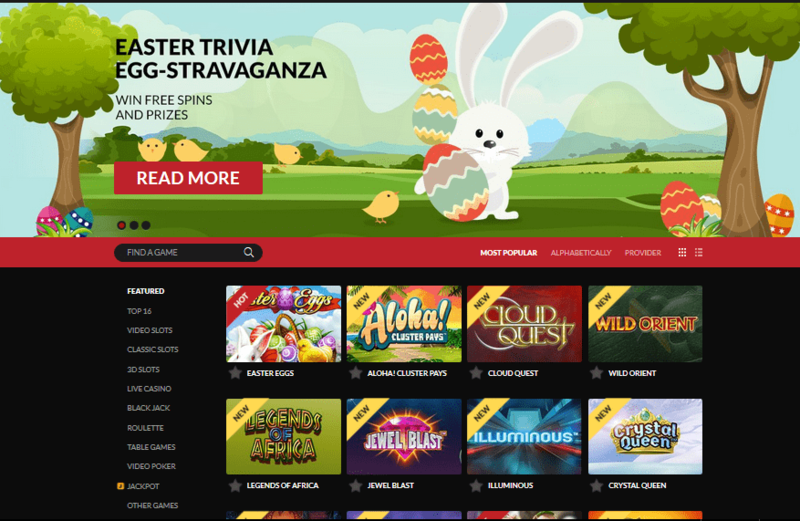 Guts have always been a top drawer casino and have recently moved from an open gaming platform to their own custom back end software. We are intrigued as to how these new developments will affect the casino and if this is an improvement or not. Full review will follow once we have had time to reflect on the new back end.